Amtech Software has announced that their 2020 Customer Conference will take place May 17-20, 2020 at the Wyndham Grand Orlando Resort in Orlando, Florida. The decision to accelerate the conference, which has historically been held in the Fall, to the Spring was a result of the rapid development of impactful solutions for the packaging industry. “Our newest suite of products and services are focused on making our Customers and Users happy. Disney World is considered the happiest place on Earth, it’s a perfect connection,” stated Amtech Chairman, Cosmo DeNicola. The Amtech Customer Conference is designed to give experienced users and those new to Amtech's systems an opportunity to enhance their knowledge and improve their use of the software and its integration into their company's business processes. The 2020 Conference is going to be a Disney themed, family friendly event. Registration will commence January 2019. For any questions regarding the conference, you can contact Ashley Gennett at AGennett@Amtechsoftware.com. Amtech Software announced their Spring 2019 User Group Meeting. The meeting, which will take place April 29-30, is at the Sheraton Grand Downtown in Nashville, Tennessee. This year’s meeting will include a Continued Education Course focusing on Smart Scheduling. These new capabilities surround Amtech’s introduction of their Smart Factory suite, which integrates corrugator and converting scheduling with shipment planning. The Amtech User Group is an independent organization that provides User oriented development suggestions to enhance the Amtech Software suite. Customers meet twice annually and vote on free software enhancements, provided by Amtech. Another key feature of the meeting is the opportunity to learn more about best practices and Amtech’s latest releases. “We never forget that the most important role in software is the User, we value their input in making all of our systems better, at each of our 60,000 users at 600 plants” stated Amtech President Cosmo DeNicola. Amtech to Install EnCore at Berenz Packaging Corp.
Cosmo T. DeNicola, President of Amtech Software, is pleased to announce the sale of EnCore, Amtech’s comprehensive packaging industry software system. Berenz Packaging Corp is a sheet plant headquartered in Menomonee Falls, Wisconsin. Amtech, the leader in software for the packaging industry, announced today that it has completed the acquisition of Qualitek Solutions, of Atlanta, GA, that has for 25 years installed hundreds of control systems on corrugators and converting machines that dramatically enhance production performance. Leveraging Qualitek’s world class solutions for web process manufacturers (corrugating and converting) to improve quality, reduce paper waste and increase production efficiency, Amtech will now be a one stop shop for Technology and Factory Solutions. 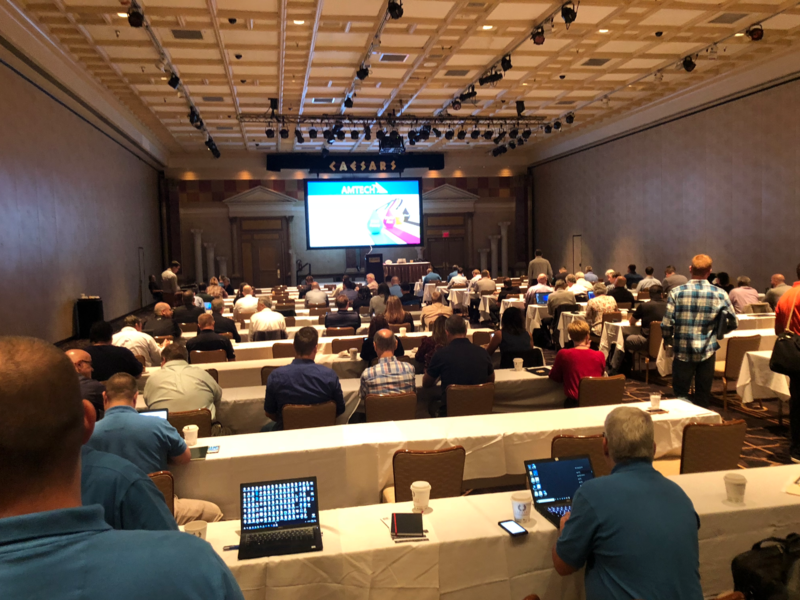 More than 150 packaging industry professionals from companies throughout the Americas met at Caesar’s Hotel in Atlantic City, New Jersey from September 30th through October 4th for Amtech Software’s 16th Customer Conference. Enhancing the Knowledge Base by submitting an article that is accepted for publication. Supporting our Best Practice efforts by submitting a case study. Engaging in Forum Activities such as asking a question, replying to a question, or providing an answer that is marked as correct. More opportunities to gain recognition and earn points are anticipated for the future! The Amtech Rewards program is another key step on the companies continuing journey to enhance the ways in which their customers use the system to the benefit of their company and their professional development! The rewards points will be redeemable by individual system users for merchandise including: offi ce lunch party, shirts, hats, water bottles, coffee mugs, iPhone desk accessories, and a backpack among others. 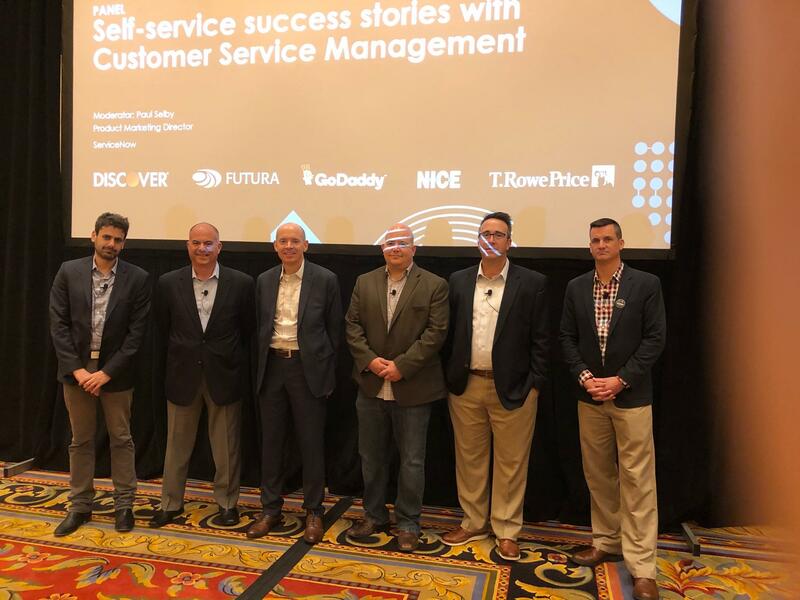 Customer Service management leader ServiceNow’s ecosystem is still growing as evidenced by the 18,000 or so attendees at this week’s Knowledge conference - notably higher than the 13,000 estimate from 2017, showing a great rate of growth. ServiceNow offers a platform that its ecosystem partners can either integrate with or run directly on. One key benefit is the same as well: the ability to leverage the data in ServiceNow’s Now Platform by focusing on routing work throughout the enterprise. ServiceNow’s original application was IT service management (ITSM), which at its core is a trouble-ticketing system that routes support requests internally though an organization. But ITSM was never the company’s raison d’être – the platform was. As founder Fred Luddy explained at a fireside chat at Knowledge, early on the company couldn’t find a market for the platform, so they built out what would become the ITSM app in order to have an offering that solved customer needs short term. But the long-term goal was always to offer a platform, not only for ServiceNow’s own apps, but for the apps of its ecosystem partners and customers as well. Today, ServiceNow offers a range of service management apps, including solutions for customer service, human resources, security, and more. As the vendor adds each solution to the mix, the wealth of data about the daily work of its customers’ employees, partners, and customers become richer with a date currency. On the one hand, the end-to-end nature of such work supports the digital journey – including the journey of customers, employees, and others during the course of their interactions with a company over time. From the perspective of the ecosystem, furthermore, ServiceNow’s focus on how people get work done connects the people within each ecosystem partner as well as each partner’s own customers. Every vendor must deal with its own customer service, IT support, HR, and other internal and customer-facing processes. Many vendors are thus customers of ServiceNow. When such a vendor is also a partner of ServiceNow, it can bring the full value of the platform and its data to the benefit of its customers as an aspect of its own offering, depending on its specifics. ERP vendor Amtech is one such vendor. It uses ServiceNow internally for its customer support and knowledge management, while finding that its customers can also benefit from the knowledge management capabilities. Amtech’s knowledge base serves as an internal resource for customer service reps as they address customer problems, as well as a resource for customers, who can now learn from each other as they input insights – not only about the use of the product, but about how best to run their businesses. Amtech is but one example of the wide variety of vendors at Knowledge, and the stories about how they interact with each other are too numerous to mention – but include vendors as diverse as IT analytics vendor LogicMonitor, data insight and collaboration vendor Klera, and AI-driven process automation vendor Ayehu. However, unlike IBM Think, this conference was not simply an opportunity for vendors to talk to each other. Instead, the diverse value of the ServiceNow platform brought out customers and prospects in droves – enterprise professionals interested in how this growing ecosystem can meet various needs as each of them moves toward a greater customer focus by implementing digital journeys for their customers as well as employees. Packaging industry leading ERP company, Amtech Software, will attend the EskoWorld Packaging Connected Conference June 5-7, in San Antonio, Texas. The conference is a unique opportunity for Amtech and Esko mutual clients to tackle business problems, shares ideas and learn best practices. Amtech, the North American leader in software for the packaging industry, announced today that it has completed the acquisition of Avista Solutions International of Minneapolis MN. Leveraging Avista’s world class solutions for scheduling, logistics and process improvement. This collaboration will foster the creation of an All in One Smart Factory. Both Amtech and Avista customers will benefit from the seamless integration of both systems.